Advancements over the years from their original salt & pepper Classic weave are apparent in the newer Tuf Line braids. Using aerospace technology, they feature their Tension Lock process in the XP braid. Tuf Line accomplishes this feat by weaving strands of tough polyethylene fibers under extreme tension. This locks the strands together, so creating an impermeable braid. The result is a weave that’s more round, thinner, packs better on the reel spool, and is highly abrasion resistant. Hook into the full details of Tuf Line XP Braid in the following review. 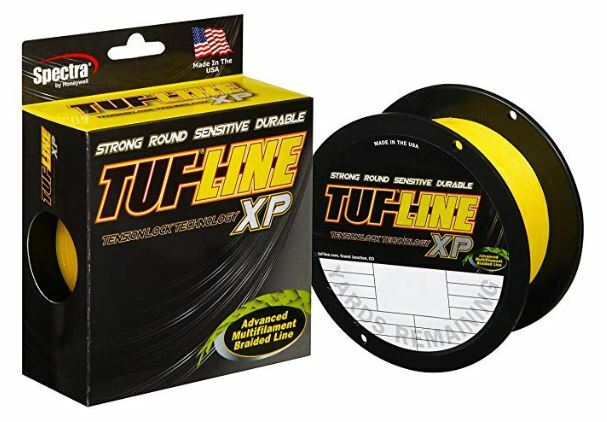 Product: Tuf Line XP Braided Fishing Line. Tuf Line XP stands out as more than just a standard braid, even among all their specialized labels. Tension Lock Technology is the most prominent feature out of several that give the XP Braid high value. In fact, the tight weave results in a thinner braid with a smoother profile for extra casting distance. A final Tuf Line proprietary coating seals the braid, slicking it out for casting and adding another layer of protection against abrasion. With four different color options, plenty of choices in spool lengths, and tests from 6 to 250 lbs, the XP Braided Superline will land fish anywhere. Note: Availability depends on current stock levels and spools may not come in all tests and lengths. For needs over 2500-yards, Tuf-Line manufactures Mega length spools. 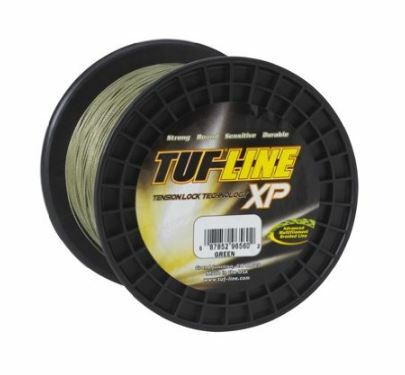 With a tighter weave using Tension Lock Technology, Tuf Line XP Braid comes out thinner than other standard superlines. Check the specs below for matching diameters in millimeters and inches. Tuf Line also provides the mono equivalent for each test as well as their true breaking strength. Besides making braided fishing line for anglers, Western Filament constructs braid for applications in the aerospace industry. One of the advancements to come out of their work in this field is Tension Lock Technology. What this means to anglers is that Tuf Line XP has a very high pics per inch count. This high tension weave rounds out the line, making it smoother and more resistant to abrasion. One of the results of Tension Lock Technology is a line that’s denser and also thinner than standard braids. The tightly woven XP Braid isn’t as flimsy as other brands which makes it easier to tie knots with. Other by-products of the tight weave is a braid that layers nicely on the reel, avoiding the tendency to dig. Tuf Line applies a proprietary resin-like coating that bonds with the finished XP Braid. With the Tension Lock Technology, XP Braid is already impervious to water. The bonded coating gives the braid a slippery feel, thus reducing friction against the line guides. It adds a final layer of protection which adds durability and extends the life of the braid. Working together, the bonded coating and Tension Lock Technology enhance XP Braid in a couple of ways. To start, one makes the braid smoother while the other slicks it out. It’s a combination that adds yards to your casting distance. The two technologies also decrease line friction which increases the line’s resistance to abrasion. Tuf Line XP benefits anglers with a braid that adds casting distance and is extremely resilient. Because of the tight weave and coating, greater durability is a big factor to the overall value of the line. XP falls in the category of standard braided line and so doesn’t carry the cost of specialty products. With a wide range of spool lengths, tests, and four different colors, XP Braid covers some fishing territory. Anglers appreciate Tuf Line XP for its manageability, knot strength, and quality manufacturing. 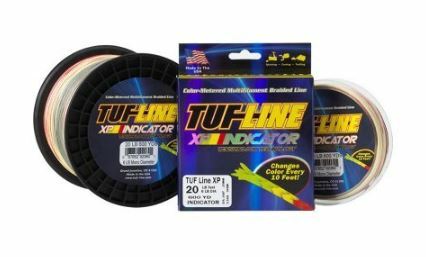 Tuf Line XP is a standard (non-specific) braided line. Though it has enhancement features, it will appear in different weaves depending on the test. Anglers using XP Braid in lighter tests will find a four carrier weave. The number of carriers determines the strand count in each braided line. XP Braid moves up to six strands in the mid-range tests and to eight strands in 80 lb test or higher. Different strand counts will change the feel of the braid, as an informative thread on 360Tuna.com explains. With so many variations in spools for anglers to choose from, XP Braid is effective for almost every fishing situation. Be aware that it isn’t unique to any specific use. Braids such as Tuf Line’s own Domin8 & 4orce are intended for more exact fishing styles. Labels like Power Pro Super 8 Slick or Sufix 832 Advanced Superline are other examples of specialty braids. Outside of the need for a specialty braid, Tuf Line XP is incredibly strong and durable. Use it as a backing, mainline, or with a fluoro leader. Like other quality braids, XP is super sensitive due to its near zero percent stretch rate. You’ll feel the slightest of nibbles, especially with fast action rods. As valued customers and fellow anglers, Tuf Line values all feedback about their fishing products. 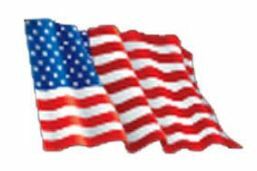 Visit their website at Tuf-Line.com for contact information or to ask a question via their email form. You’ll find valuable film lessons on knot tying along with other helpful resources. Read testimony from the professionals, check their blog or view pics on their “wall of fame”. Tuf Line XP steps up the level anglers expect out of a standard braided superline. Professionals and amateurs alike treasure it for its ability to stand up to everyday wear. Though not as cheap as brands like KastKing SuperPower or Hercules Braid, the value of Tuf Line XP is immediately recognizable once on the spool of your reel.